Arrive in New York City and transfer independently to your hotel where you will meet your ATI Tour Director. This morning enjoy a city tour of New York which includes some of the most famous sights of Manhattan, such as the Empire State Building, Time Square and Central Park. The afternoon and evening are at leisure. Your ATI Tour Director will assist you in making plans. May we suggest a stroll through Central Park, a bird's eye view on a Manhattan helicopter tour (optional) or reenact history with a kiss in Times Square. Bring your camera! Today, drive across New York state through the Finger Lakes Country and towards the Canadian border, arriving at one of the world's natural wonders, breathtaking Niagara Falls. 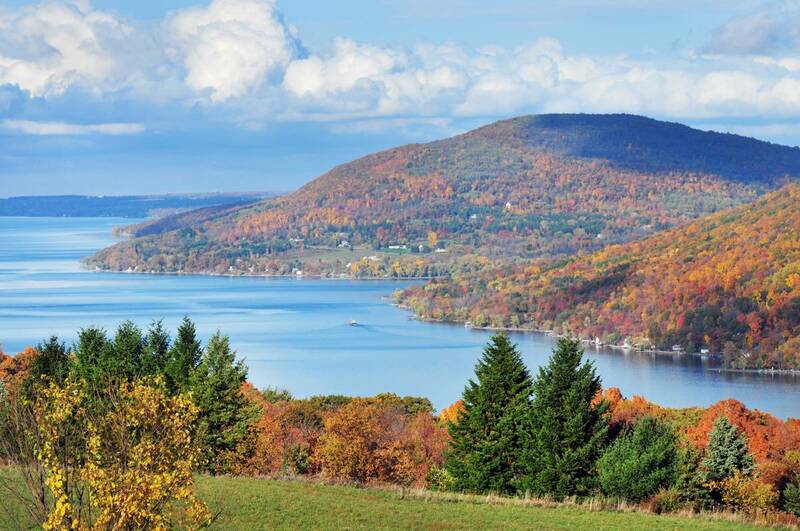 Indulge in a spot of wine-tasting at Watkins Glen, on the shores of Lake Seneca, named for the Seneca Indian Nation. Spend the evening at the romantic Niagara Falls. This morning you will have time to explore the Falls. Perhaps take a ride aboard the Maid of the Mist (optional), or stroll along Table Rock to view the thundering waters of the Horseshoe Falls. Join us on an optional trip to Skylon Tower for lunch at its revolving restaurant. Skylon Tower, hovering 775 feet above Niagara gorge, features an observation deck that affords views of an 8,000 mile area, almost as far as the eye can see. 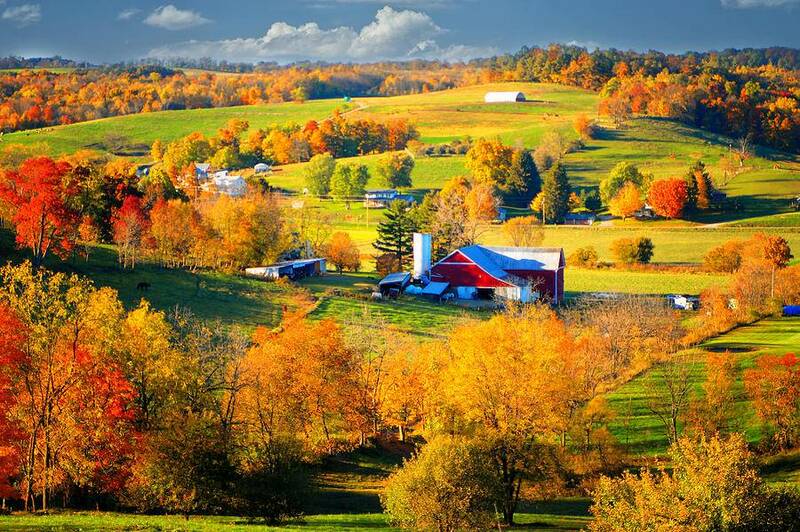 Depart Niagara and travel into Pennsylvania Dutch country, also known as Amish Country, for your overnight stay. This morning travel through the Appalachian Mountains along the picturesque Susquehanna River, the longest river on the American East Coast. 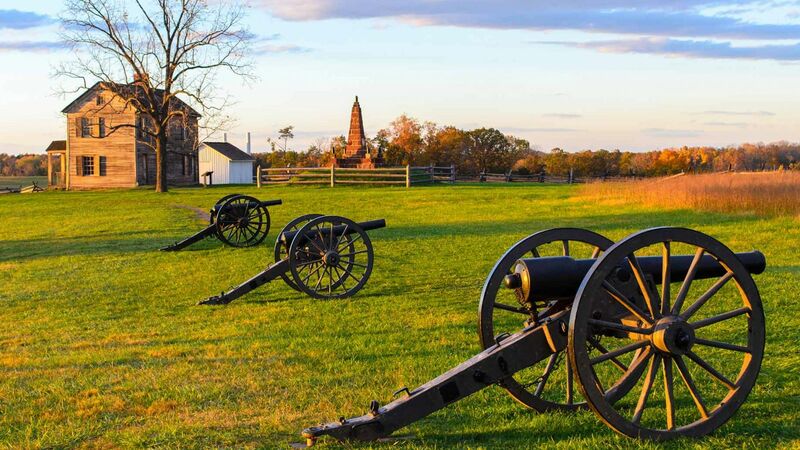 This afternoon, visit the historic Gettysburg Civil War National Battleground, site of the largest battle ever fought on American soil, and the place where Abraham Lincoln gave his famous address in 1863. Afterwards, you will journey to the Nation's capital, Washington, D.C. Enjoy a memorable evening tour in this exciting city (optional). Today, transfer to the airport for your flight to Los Angeles, where you will be met on arrival and transferred to your hotel (airfare cost not included). Travel south through San Juan Capistrano and San Clemente to San Diego, the second-largest city in California, renowned for its year-round mild weather. Following a city tour, visit picturesque Seaport Village, San Diego's relaxing bay-front marketplace. Return to Los Angeles for the evening. 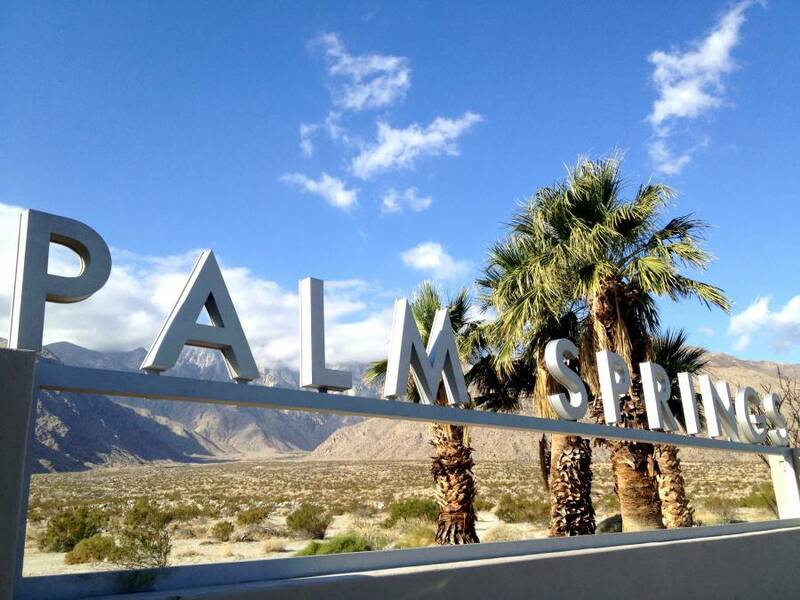 Today your journey takes you through Palm Springs, the winter playground for Hollywood royalty, with its lively downtown area and immaculately kept golf courses at the base of the rugged San Jacinto Mountains. A sea of wind turbines mark the entrance to this desert oasis. Along the way you will pass through Indio, home of the international Date Festival due to the abundance of this crop in the Coachella Valley. We continue across the desert to Arizona's State Capital, Phoenix. Leaving the Canyon, stop at Desert View this morning and see the Canyon bathed in the early light. As you journey further today, you will enter the Navajo Indian Reservation, passing the trading post of Cameron. Continue through the Painted Desert to tour Monument Valley, an area that embodies perhaps the most definitive and iconic images of the American West. 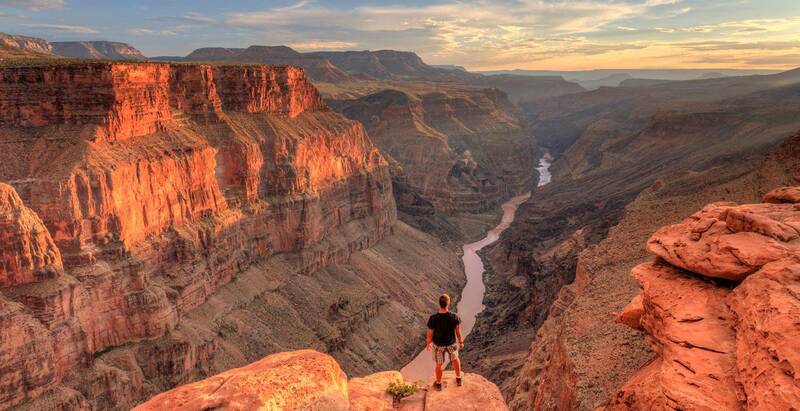 In the afternoon, enter the town of Page, situated on a mesa above the Colorado River, in the Lake Powell Region. Visit the mighty Glen Canyon Dam, the second highest concrete-arch dam in America. From here you'll enjoy views of stunning Lake Powell, where crystal blue water laps against towering red-rock canyon walls. Enjoy an evening at leisure. Enter the state of Utah this morning. Pass through the town of Kanab before visiting spectacular Bryce Canyon, where a tour through a multi-colored world of sandstone spires and pinnacles, "hoodoos", will dazzle the eye. This evening, weather permitting, be sure to gaze upon the spectacular night sky filled with sparkling stars and brilliant constellations and take in the aroma of pinewood campfires. Travel today to Zion National Park and see the massive rock formations carved by wind, time, and the Virgin River. This afternoon experience the contrast of Las Vegas, the dazzling "Entertainment Capital of the World," where round-the-clock shopping, nightly shows, and of course gambling are at your fingertips. 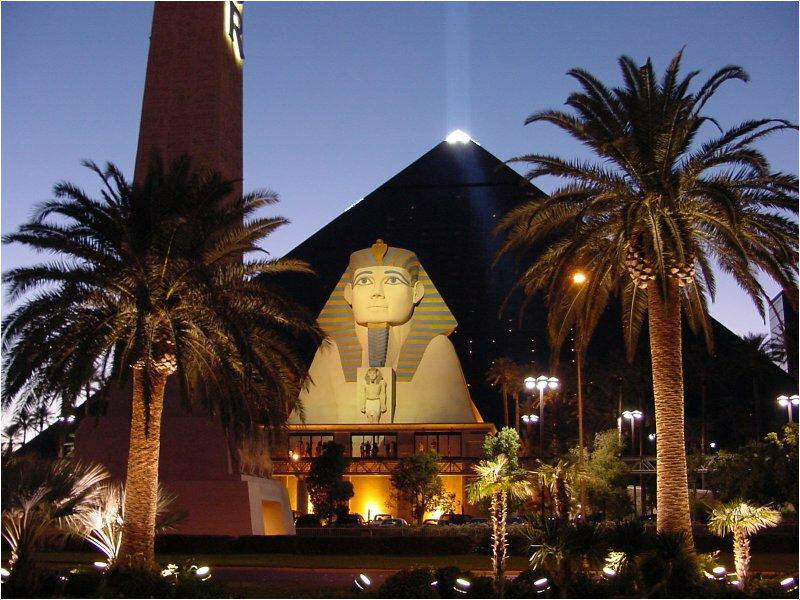 Today is at leisure for you to enjoy the many attractions that Las Vegas has to offer. In addition to world-class shopping, bustling casinos, and Broadway-caliber shows, you might simply stroll the famous Strip taking in its amazing sights and sounds, or lie by the pool at your hotel, soaking up the sun. Make sure to bring your appetite, as Las Vegas boasts some of the country's top restaurants. Your day begins with a stop at the iconic Las Vegas Welcome Sign where you may wish to capture your photo memory of Las Vegas. Travel to Los Angeles via the Mojave Desert, home of the world's tallest thermometer, at 134 feet (41 meters) high. Clusters of unique Joshua trees dot the mountainous landscape. Tour concludes upon arrival in Los Angeles. - Shuttle: SuperShuttle is available to transport passengers from the airport to their hotel. One-way seat-in fare per person is approximately USD $24 from JFK, USD $24 from Newark (EWR), and USD $21 from LaGuardia (LGA). For instructions on how to get to SuperShuttle after you land, please call 1+ (800) 258-3826 or visit www.supershuttle.com. - Day 1 (Saturday): Upon arrival, passengers should check-in at the front desk of The Grand Hyatt New York and identify themselves as participants of ATI’s Great Eastern Cities/Coast to Coast Motorcoach Tour. Passengers arriving between the hours of 2:00 pm and 8:00 pm should then proceed to ATI’s Hospitality Desk and check in with ATI’s Tour Director. - Day 2 (Sunday): ATI’s New York City Tour departs at 8:30 am. Passengers should meet ATI’s Tour Director in the lobby of The Grand Hyatt New York at 8:15 am. - Day 3 (Monday): ATI’s Coast to Coast Motorcoach Tour departs for Niagara Falls at 7:30 am. Passengers should meet ATI’s Tour Director in the lobby of The Grand Hyatt New York with their luggage at 7:00 am. - Day 6 (Thursday): Passengers will be transferred from their hotel to Dulles (IAD) or Reagan National (DCA) airport for their flight to Los Angeles. If needed, ATI’s Tour Director can review passenger flight schedules to ensure a timely airport drop-off. Upon arrival in Los Angeles, passengers will be greeted by an ATI Representative before being transferred via seat-in Super shuttle service to the Holiday Inn Anaheim Resort Area. Upon arrival, passengers should check-in at the front desk of the Holiday Inn Anaheim Resort Area and identify themselves as participants of ATI’s Western Discovery/Coast to Coast Motorcoach Tour. Passengers arriving between the hours of 2:00 pm and 8:00 pm should then proceed to ATI’s Hospitality Desk and check in with ATI’s Tour Director. - Day 7 (Friday): ATI’s San Diego Tour departs at 8:00 am. Passengers should meet ATI’s Tour Director in the lobby of the Holiday Inn Anaheim Resort Area at 7:45 am. 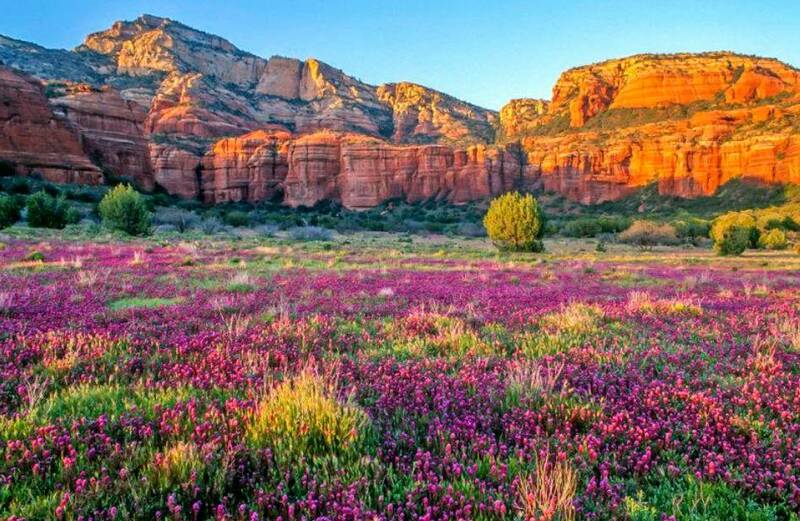 - Day 8 (Saturday): ATI’s Coast to Coast Motorcoach Tour departs for Phoenix at 8:00 am. Passengers should meet ATI’s Tour Director in the lobby of the Holiday Inn Anaheim Resort Area with their luggage at 7:30 am. - Day 14 (Friday): ATI’s Coast to Coast Motorcoach Tour concludes upon arrival at the Crowne Plaza Los Angeles Airport at approximately 4:00 pm.